We have plenty of fairy tales about shoes that work magic in people’s lives: glass slippers that brought love to Cinderella, and sparkly red heels that gave Dorothy powers in MGM’s version of The Wizard of Oz. In real life, footwear magic is limited to “unloading” shoes that may help relieve knee pain from osteoarthritis. These unloading shoes have stiffer soles, and slightly tilted insoles that reposition the foot, intended to reduce (or unload) strain on the knee. But a study published online July 12, 2016, in Annals of Internal Medicine suggests that unloading shoes are no better than a good pair of walking shoes at making pain disappear. Researchers randomly assigned 164 people with knee arthritis (age 50 or older) to wear either new unloading shoes or new conventional walking shoes every day for six months. By the end of the study, it appeared that both types of shoes were equally effective at reducing pain and improving physical function, with pain reduced an average of about 25%, and function improved by about 22%. 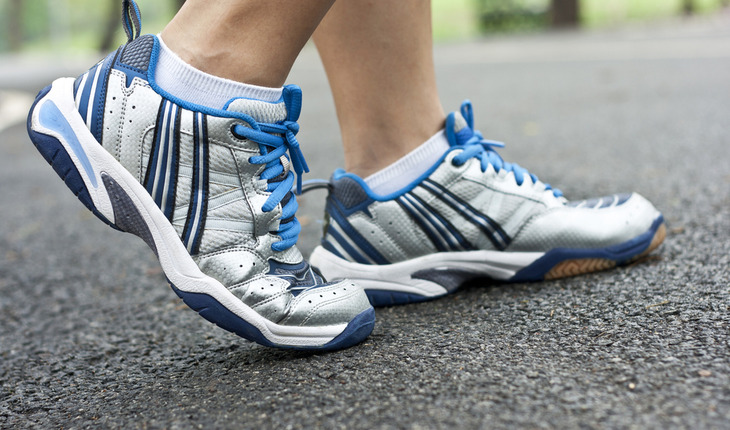 It didn’t prove that both shoes are equally effective, but an editorial accompanying the study says the findings highlight “the promise of simple biomechanical interventions” to address knee pain. Both shoes used in the study cost $180. But custom-made unloading shoes, and even custom-made insoles that can be inserted into a shoe, can cost many hundreds of dollars. a slightly curved “rocker” sole that helps distribute the body more weight evenly as you walk. This sole may not be right for you if you have balance problems. a sturdy area around your heel (called a heel counter), so your foot stays in place and doesn’t slip around, which can cause friction and pain. Walking shoes aren’t the only way to relieve knee pain without surgery. “I see success stories without surgery every day,” says Dr. Clare Safran-Norton, Clinical Supervisor of Rehabilitation Services at Harvard-affiliated Brigham and Women’s Hospital. Physical therapy: Dr. Safron-Norton suggests that a person with knee arthritis undergo at least three months of physical therapy as a first line of treatment. The program should include a series of exercises to strengthen and stretch the muscles that support the knee. Weight loss: Shedding pounds reduces the pressure you place on your knee. That’s significant, since the force you place on your joints can be up to six times your body weight. Injections: Corticosteroid injections can temporarily reduce pain and swelling, which can make it less painful to take part in physical therapy. Supplements: Research has provided mixed results on chondroitin and glucosamine supplements to relieve pain, but Safran-Norton says some of her patients feel the pills make a difference. Chondroitin sulfate helps to keep cartilage from deteriorating. Glucosamine stimulates cartilage formation and repair. Don’t expect these things to work magic overnight. “You’ll feel a difference after going to physical therapy once or twice a week for two-to-four weeks,” says Safran-Norton. The rest of the methods are used best in conjunction with physical therapy, not in place of it, she advises. With a little trial and error, you have a good chance of finding knee pain relief without surgery — and you may get a fairy tale ending. If knee pain persists, you may need to speak with an orthopaedic expert about surgery. But save that for a last resort.